One of the biggest decisions you might have to make if you are considering relocation to the USA is whether or not to buy or rent a property. Unless you are returning to an area of the States which you know very well and which you’ve visited recently and have done your homework to become fully familiarised with the local real estate market and prevailing economic conditions, it’s probably a wise move to rent first, even if you only intend renting over a relatively short period. 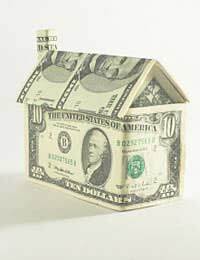 As with living in any country, many people see paying for a rental property as ‘dead’ money with no financial gain to be had but equally buying a property without any real understanding of the U.S property market is not always the best decision you could make, at least not initially unless you are retired and/or are buying your home outright. If you are relocating to the USA as part of a company transfer from the UK, the company you work for will probably do all of the work in finding you a suitable place to live be it a house or in a block of apartments. Perhaps, they will even take care of the rent for you as part of your relocation package and may even set you up with the likes of a car, for example. If you are relocating to the USA and making all of the arrangements yourself, there are plenty of online resources to help you choose a suitable rental property. Considerations are likely to include the proximity to your workplace and perhaps you’ll need to choose a property which has easy access to schools if you’re emigrating with children and whether or not you need a house or wish to live in apartments. Some people will often choose to stay in a hotel at first so that they can do their fact finding about possible homes from ‘ground level’ so to speak but whichever option you choose, renting a property in the U.S is pretty similar to doing so in the UK. You’ll usually need to pay a month’s rental upfront plus an additional month’s rental to put down as a deposit. This can act as a bond in the event of any damage being incurred to the property whilst you are a tenant, although you might also need to pay that in addition. It’s also useful to gather any references before you go from landlords you have rented from previously here in the UK as you're likely to need those to help with your relocation. One of the main reasons migrants will opt to rent a property first when considering relocation to the U.S is because it can be notoriously difficult to obtain mortgages at first on homes without having any U.S. credit history for lenders to refer to. Obviously, if you’re in a position of buying a property outright as the result of selling your own in the UK, this isn’t going to present you with a problem when you are moving although you should always seek the advice of a U.S real estate lawyer before going ahead. Of course, as in any country, owning homes and land are valuable assets but you will need to put a great deal of time into familiarising yourself with things like purchasing costs and property taxes in addition to realtors’ and loans officer fees, insurance and other associated costs before moving to the U.S. or whilst you're there. You will often find plenty of homes for sale in the U.S. but it's important that you factor in additional costs. Just as in the UK, the recent years of house values seemingly going up and up in a never ending spiral are at an end in the U.S too because of the ‘credit crunch’ and perhaps now, more than ever, renting a property first in a relocation to the U.S. makes sense unless you can afford buying a property outright. Property prices can vary dramatically due to the sheer geographic scale of the country even more so than in the UK and it’s only by being there and living the life can you start to get a grasp on property prices and that’s why home rentals are often preferred so that you can gain the ‘lie of the land’. Staying in a rental property will also enable you to seek out other’s opinions and advice if you’re looking to buy in the long term. Another thing you might need to consider is job security. If you’re going it alone and do not have the support of a company relocation package behind you, buying a property straight away can be fraught with uncertainty as you seek to establish yourself in the U.S. Therefore, a rental property makes more sense in terms of enabling you to be able to return to the UK more easily and in better financial shape than running the risk of losing money if the housing market isn’t in your favour if you’re looking to sell. The ‘bottom line’ therefore would probably be that unless you’re retired whereby you’re not relying on earning an income from a steady job and/or you’re buying a property outright, it’s going to better to look at home rentals first, at least over the short-term.